Congratulations to Bosnia (and Albania). Finally, the European Union reached agreement today to revoke visa requirements for Bosnia and Albania. The decision will be published in the Official Journal of the European Union on December 14, and citizens from Bosnia will be able to travel to the Schengen countries without visas beginning December 15 this year. A passport from Yugoslavia was considered one of the best in the world. Yugoslav citizens could travel freely unlike their neighbors in the former Soviet Union. After the wars in the 1990s and political chaos in Albania, a strict visa regime was imposed. Serbia and Montenegro were given visa liberalization on December 19th last year (see post “Serbia Moves Forward“). This created problems in Bosnia because many citizens hold two passports. 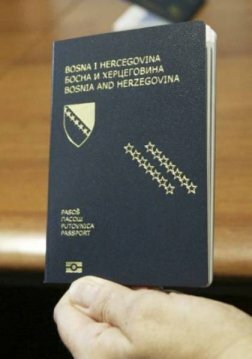 Bosnian Croats also hold Croatian passports, and Bosnian Serbs have Serbian passports. This means that in the past year, the Bosniak (Muslims) had the biggest travel problems in the country. So… congratulations to Bosnia for achieving visa liberalization. It might not feel like a huge change for many citizens, due to holding other passports. The economic situation in Bosnia is dire and most people cannot afford to travel abroad for vacation. Visa liberalization, however, is a symbolic step for the entire country. Fruška Gora, a mountain and national park in Serbia, is visible from the city of Novi Sad where I lived last year. 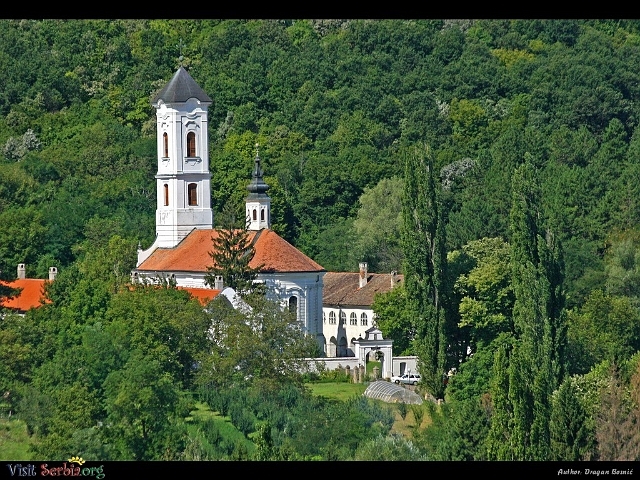 This area is an oasis next to the city, filled with picturesque monasteries, camping sites, and hiking trails. 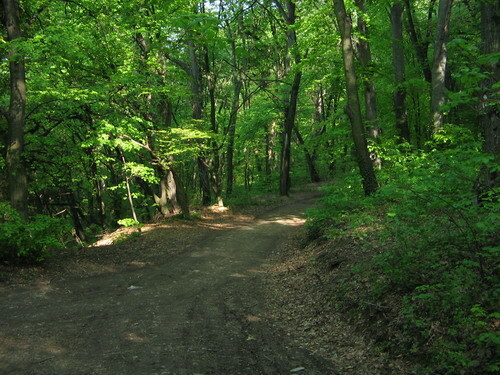 Fruška Gora was designated a national park in 1960, and its forests contain more than 30% lime (linden), the highest concentration of this species of any mountain in Europe. The mountain hosts a very rich natural environment, filled with rare plants, animal and endangered bird species, and a network of permanent springs. The entire area is bursting with potential for eco-tourism to showcase its natural beauty, next to Serbia’s cultural capital. After my enjoyable time in Novi Sad, I read an article in Balkan Insight today with great displeasure. In September, Serbia changed its Law on Environment, putting national parks like Fruška Gora in great danger. These amendments, according to the article, “relate to the protection status of national parks – instead of one level of protection that covers all parks, a range of protection levels has been introduced.” Incidentally, Serbia has been accepting nuclear waste from the rest of Europe, which is most likely being temporarily stored in closed off mines. The idea, as explained by Nikola Aleksic from the Ecological Movement in Novi Sad, is that this hazardous waste will be transferred to Fruška Gora. The waste can be placed in the hollowed out tunnels and hangars in the mountain that were built during World War II. Parliamentarians are expected to vote on these changes this month, which the Serbian Ministry of the Environment insist have nothing to do with Fruška Gora. I am extremely disheartened to hear this news. 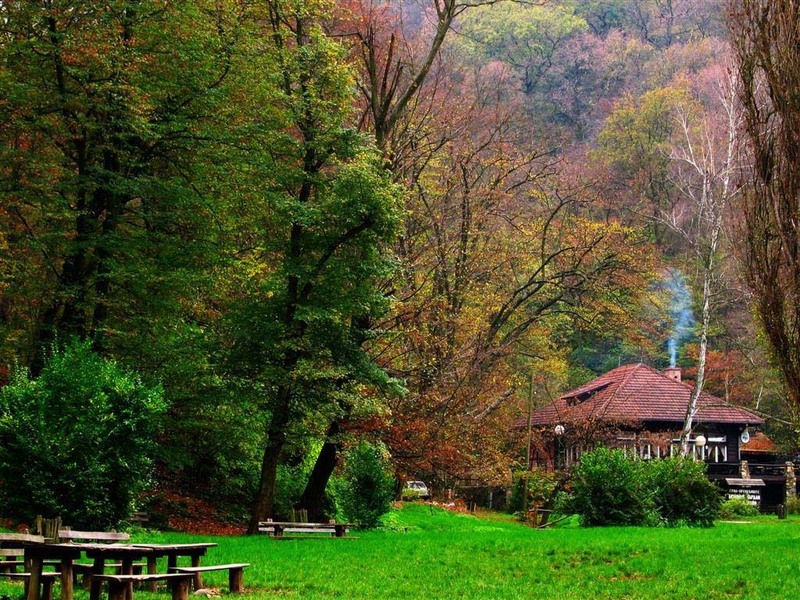 These amendments will affect all of Serbia’s national parks, so of course these changes will affect Fruška Gora. As a potential Member State, Serbia must work diligently to ensure that its environmental legislature complies with EU standards. This will be no easy task, as these proposed amendments are not the only evidence that Serbia does not respect its natural resources. The Organisation for the Security and Co-Operation in Europe (OSCE) mission in Serbia has also identified that Pancevo’s industrial complex is dumping waste into the Danube River, Novi Sad’s oil refinery is contaminating ground water, as well as large quantities of inadequately stored waste. The National Environment Strategy also points out other areas of concern in Serbia, including air pollution, soil degradation, unsustainable forest management, and a lack of recycling. During my latest trip to Novi Sad, I searched all around the city for a recycling container before I found one forgotten bin. Serbia’s environment suffered along with its recent history. During the Yugoslavia era, there was heavy industrialization in combination with inefficient and wasteful use of natural resources. The breakup of the country in the 1990s resulted in an economic collapse and a lack of proper investment in the environment. The consequences for Serbia’s environment today are grave. I hope that political leaders in Serbia vote against these amendments, which will lower (already low) standards for national parks in Serbia, as well as the environment as a whole. I believe that this is a complete step backwards as Serbia strives for full European integration. 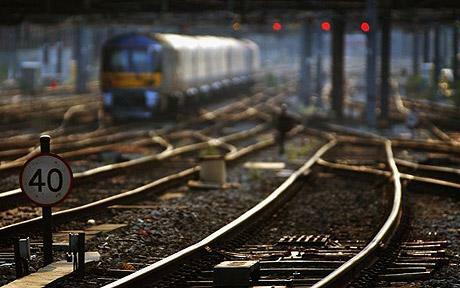 Now is the time for policy makers to look to the future of the country in every sector. Although they have made some progress in adopting EU standards, there is a huge difference between passing and implementing laws. Serbia has to make its environment a priority. Five Months Until the New Government? The recent general elections in Bosnia and Herzegovina took place on October 3, 2010, but the process of forming a new government is far from finished. Reports from the Central Election Commission show that the number of invalid ballots for the election of members of the state presidency, and also other levels of government remains high. These reports show that more than 100,000 ballots were invalid for members of the Presidency alone, which is 100 percent more than all previous elections thus far. The Party of Democratic Progress (PDP) has requested a thorough investigation due to the high number of invalid votes for the Bosnian Serb President, and in response to the marginal win of SNSD Nebojsa Radmanovic over Mladen Ivanic of the PDP. The Central Election Commission began a recount of votes in several polling stations on October 15, 2010, in the presence of election observers. It is necessary for 38 polling stations to recount the ballots for all levels of government and 19 polling stations must count the ballots only for certain levels of government. Then the Central Election Commission is currently trying to determine the results, which means consolidating the numbers from ordinary polling stations, polling places where voters voted absentee, electors who voted by mail, etc. The formation of a new government after general elections in BiH has been a lengthy and difficult process in the past. Aside from the setback of the invalid ballots, it may now take weeks or even months to form new governments at the state level, in the Federation of BiH and in the Republika Srpska. It remains to be seen how much time it will take the 2010 election winners to agree on power sharing and whether or how a coalition will be established. Judging from the past, High Representative Valentin Inzko voiced doubt that a national coalition would be formed before February 2011. 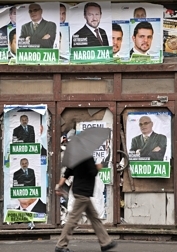 Sarajevo is plastered with leftover election (izbori) campaign posters, with the faces of candidates covering every billboard, car window, and wall in the city during the last month. Yesterday around 1.5 million people, or 56% of the eligible voters in BiH (not including diaspora) cast their ballots. Voters elected the central presidency, the central parliament and assemblies for the two entities. In the Serb-run entity, Republika Srpska, they also voted for a president, while in the another entity, the Muslim-Croat Federation voters chose district assemblies. This is no easy feat in a country with three presidents representing Bosniaks, Serbs, and Croats. Over 8,000 people ran for seats in parliament, representing over 60 political parties. 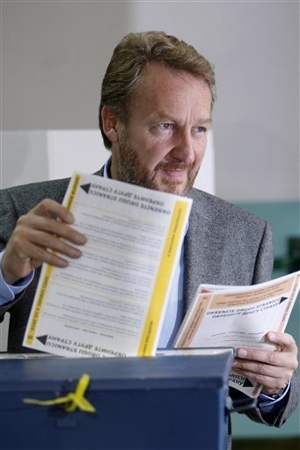 The preliminary results show that moderate Bakir Izetbegovic, son of former President Alija Izetbegovic, won the Bosniak presidency seat representing the Party of Democratic Action (SDA). His father is known for being the first president of BiH and wartime leader. Bakir Izetbegovic talks about a new era for Bosnia, and claims to be more prepared to work with other ethnic groups than his predecessor Haris Silajdzic. He, along with the current Croat member of the presidency Zeljko Komsic who won another four year term, both ran on campaigns that support a unified Bosnia. The Serbs had a tighter race, with Nebojsa Radmanovic (current Serb representative of the tripartite presidency) only 3% ahead of the next candidate, Mladen Ivanic. 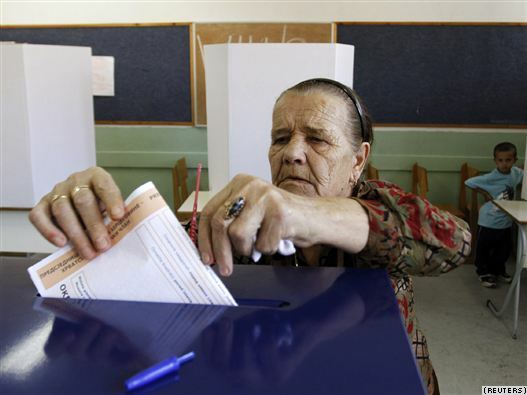 Thirteen percent of the votes for the Serb presidency were considered invalid, and the Serbs are demanding an investigation into election fraud. Radmanovic advocates for the separation of the Serb entity from the rest of the country. Most of the politicians in BiH ran on campaigns that appealed to their own ethnic group. The electoral committee will continue to count votes and to determine the leaders of Bosnia, announcing the official results in a few days. The international community carefully watches the elections, as Bosnia strives for a future in the EU and in NATO. Hopefully the winners can bring about positive change in this divided country. Last December, Belgrade and Sarajevo reopened its direct railway connection after 17 years, which was a huge step for the region. Trains in the former-Yugoslavia are old and slow, and in desperate need of modernization as these countries strive for EU membership. Serbia’s visa restrictions were lifted at the end of last year, and BiH hopes to join the Schengen White List soon. The countries in the area need more coordination and joint business ventures like Cargo 10 and travel around the region should be encouraged, for tourists from the rest of Europe as well as for citizens from these successor states. Ticket prices will be much cheaper and travel times will decrease by about one third, which will result in further economic development of the countries involved. I believe that Southeast Europe needs a physical connection like this railway line in order to overcome differences of the past and to forge ahead to a prosperous and stable future. Long before the Greek economic crisis was a permanent fixture on the news, the UK-based Minoan Group planned to develop the northeastern area on the island of Crete. The 1.2 billion euro project will create six tourist villages, three golf courses and luxury holiday resorts on land leased by the declining Toplou monastery. As one of the largest tourist development projects in Greece, the resorts will provide around 3,500 jobs when completed, and perhaps keep young people from leaving the country to work elsewhere in Europe. During this time of recession, I try to convince myself that this development project is one logical solution to strengthen the Greek economy through tourism, and to simultaneously strengthen the European community. However, it is difficult to ignore the negative impact this large luxury tourist destination will have on an island with such a rich history. The largest island of Greece, Crete was the center of the first advanced (Minoan) civilization in Europe. Is it some kind of joke that the development company is called the Minoan Group, as they plan to destroy the sites leftover from this Bronze Age ancient civilization? Today, the island of Crete still has many sites that have not been archaeologically excavated that would provide Europeans with insight into their roots. The island was farmland during antiquity, and the Neolithic and Minoan farms, terraces and fields are still visible on the island of Crete. 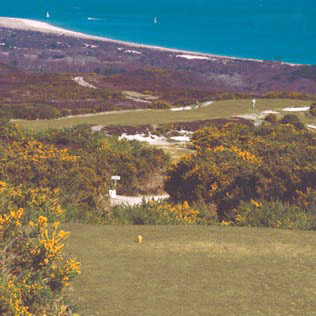 The golf courses and development would only cover up this landscape. Furthermore, this project will cause irreversible damage to the Crete environment, which contains some of the world’s most rare plant species, due to the semi-desert climate of the island. This part of Crete is supposed to be protected by the Natura 2000 decision, which designates areas in the EU for conservation. 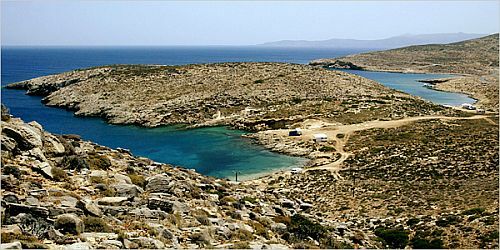 Development is directly in opposition to the Natura 2000, and this tourist village far from the present-day tourism on the island would wreak havoc on the natural beauty of the island. The Minoan Group has careful answers to all of the concerns of those against this project. They say they are going to keep the golf course with brown grass, and that they will produce their own water. This development project will only cover a percentage of the island, but once completed, I’m sure the resorts will expand. Development in this area is not sustainable because of the lack of water, and already hotels have failed in this location. With this luxury resort on the opposite side of the island from the current tourist destinations, it will only be a matter of a decade or two before the entire island is developed for foreigners. 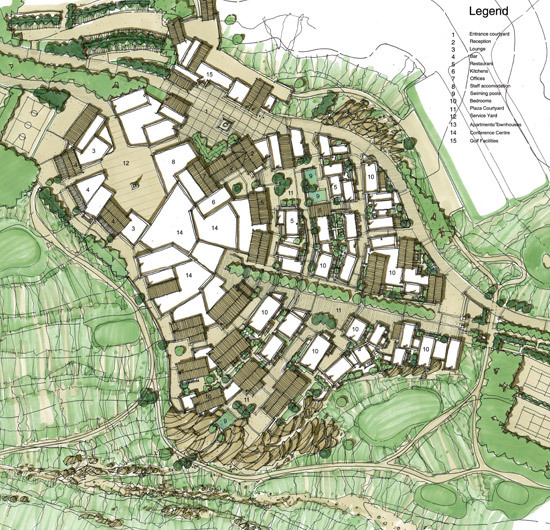 The beginning of advanced European civilization, an environmental hotspot, and the location of well-preserved archaeological sites will be long forgotten underneath the golf courses and “tourist villages.” Despite the need for economic recovery, this is just way too tacky. Please visit the Minoan Group website for more information, or this petition site where over 10,000 people have signed against this development project. Other sources for this post include this wordpress blog post by HomeboyMediaNews and this article on the Travel Daily News website.